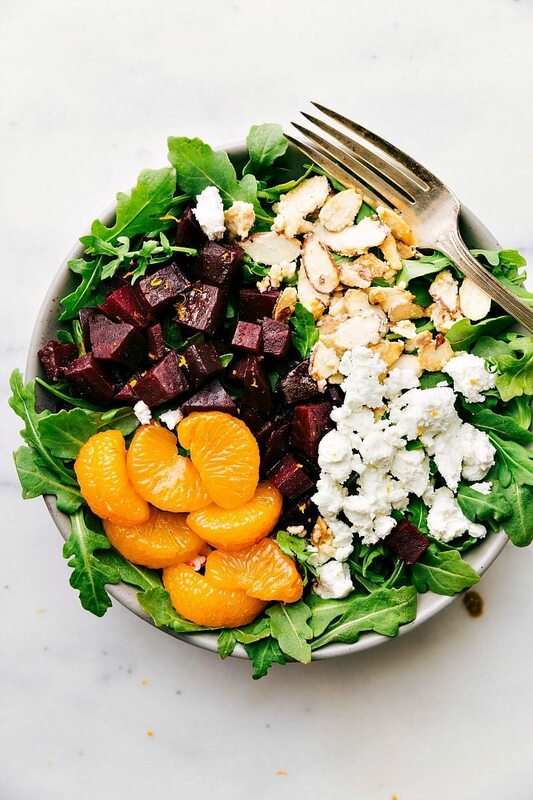 Salt roasted beets coated in balsamic vinaigrette and tossed with arugula, easy (2-ingredients) candied almonds, mandarin oranges, and goat cheese. 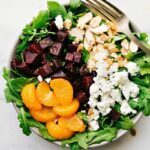 A delicious beet and goat cheese salad! A few months ago, I shared my experience of flying out to Nashville, Tennessee to enjoy an amazing meal prepared by a local resident, Travis Nunn, as part of Morton Salt’s Next Door Chef. While making the meal for us, Travis was coached by acclaimed local chef Karl Worley of Nashville’s Biscuit Love. As the meal was served to us, they taught us the role salt plays into making an incredible meal and elevating any dish — from appetizer to dessert! We tried an entire menu of dishes and I was certainly impressed with how much the right use of salt transformed each of those dishes. While I loved everything we tried (seriously it was delicious), my favorite was the Salt Roasted Beet Salad. 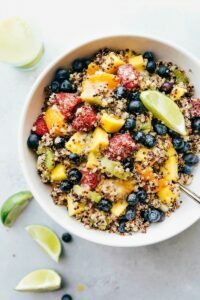 It was a simple salad that packed a huge punch of flavor! After learning a bit about how to transform roasted beets using salt, I knew it was something I wanted to try when getting home. 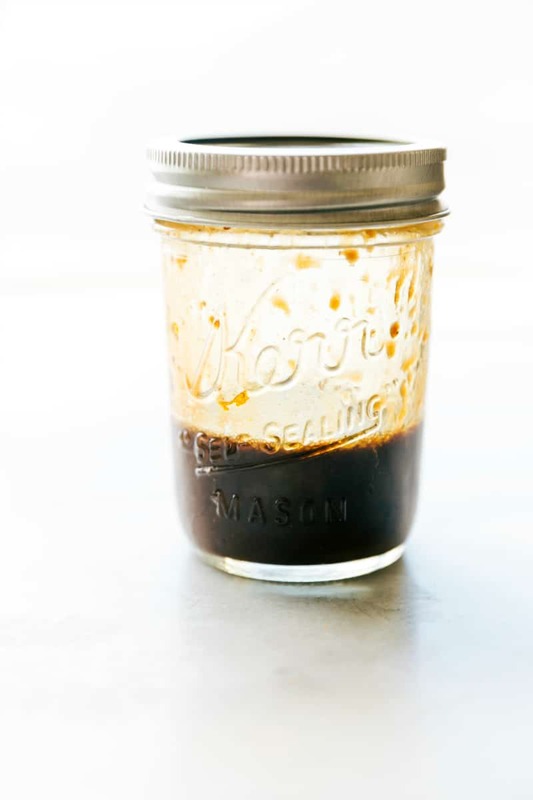 The simple dressing has a heavy balsamic flavor with a light touch of orange from fresh orange zest and juice. That dressing is tossed with the hot beets right after they are chopped. This gives the beets a chance to really develop a delicious orange-balsamic flavor as they cool down for the salad. I swapped out the pistachios for almonds in this salad and then candied those almonds. 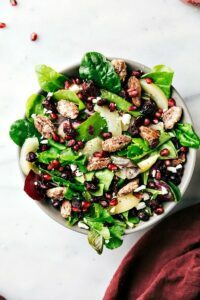 The salad I made a few months ago when I shared about the event had easy 2-ingredient candied almonds and I thought it would be fun to have both salads tie together with the same nut. Lastly, I added some mandarin oranges. 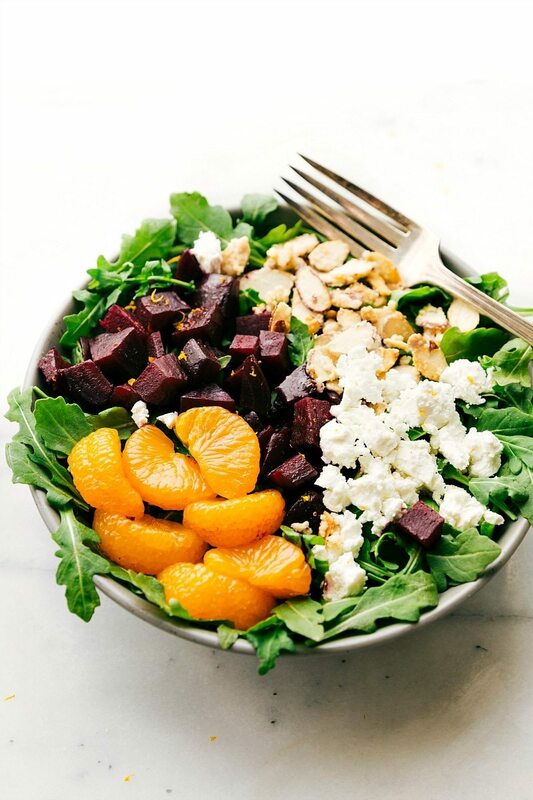 This is mostly because I try to throw mandarin oranges in every single salad I make (I’ll admit, I’m obsessed with them), but also because the sweetness of the orange pairs perfectly with the tangy roasted beets. 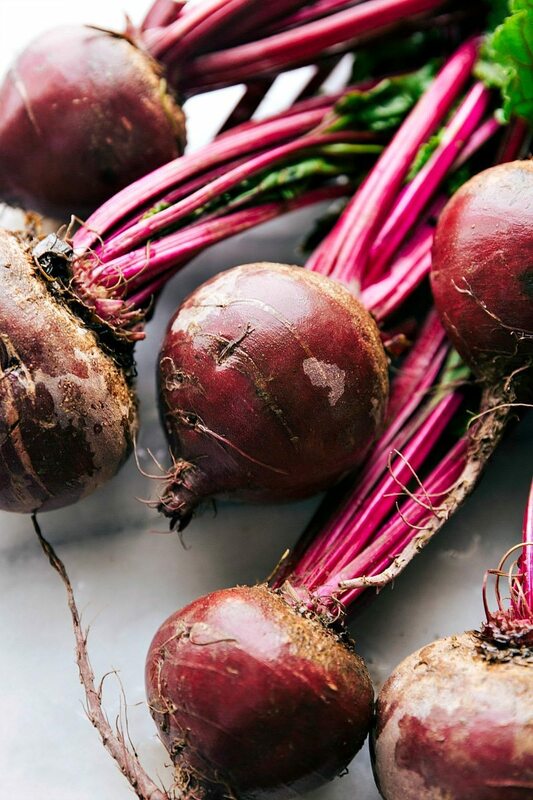 The secret to the best roasted beets...and how to serve them in the most delicious salad! While the beets are roasting prepare the dressing by combining the balsamic vinegar, olive oil, orange juice + orange zest, dijon mustard, and about 1/2 to 1 full teaspoon fine sea salt and 1/2 teaspoon pepper (or to taste). Toss the chopped beets with 1 tablespoon of the dressing, cover, and place in the fridge to marinate while preparing the rest of the salad. While the beets cool, prepare the candied almonds. In a large skillet, add the sliced almonds and white sugar. Place the heat to medium-high and stir near constantly. The sugar will begin to melt and become a sticky liquid and then stick to the almonds. This takes about 3-4 minutes -- watch carefully and stir near constantly to avoid burning the nuts. Dump the candied almonds onto a sheet of parchment paper and let harden. Break apart. 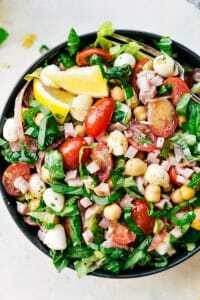 In another bowl, add the arugula and dress with a little bit of the dressing. Top with the diced beets, drained mandarin oranges, sliced & candied almonds, and goat cheese. Add additional dressing here to taste. 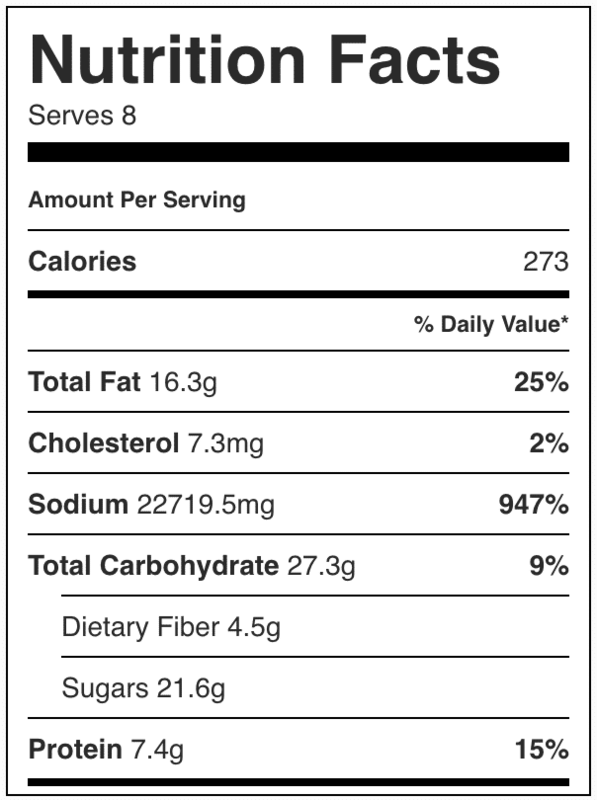 **The balsamic is definitely a strong flavor (which we love). If you are unsure about that, start with adding 1-2 tablespoons of the balsamic vinegar to the dressing and increase from there. This post has been sponsored by Morton Salt. All opinions are 100% my own. Oh my gosh this salad combines all of my favorite things. And I honestly never would have thought of roasting the beets on a bed of salt- how clever! Thank you so much for your kind words Samantha; I really appreciate it! 🙂 And your blog is lovely! !